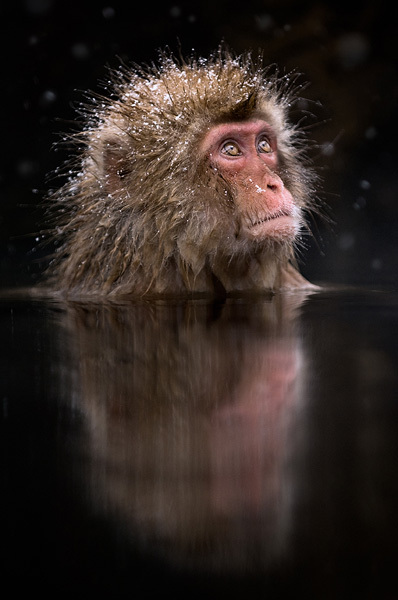 This Japanese macaque (Macaca fuscata) was just chilling in the water. It was snowing gently, which greatly adds to the atmosphere. I always hope for falling snow when I'm there, and this time I got lucky.